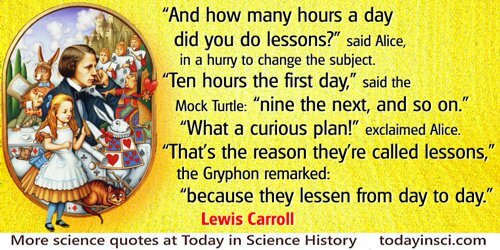 “And how many hours a day did you do lessons?” said Alice, in a hurry to change the subject. “What a curious plan!” exclaimed Alice. Alice's Adventures in Wonderland (1865, 1869), 145.